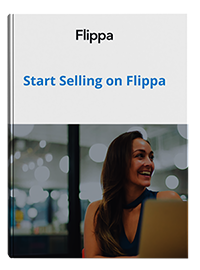 We recently sat down with online entrepreneur Kean Graham, who acquired MisterPoll.com on Flippa for $21,100. Kean gives us an insider’s look at his existing website monetization service, as well as his acquisition of MisterPoll. You own MonetizeMore, how does that business work? MonetizeMore is an industry leader in website monetization that combines state of the art monetization technology with a team of dynamic and creative thinkers. We empower website owners and publishers to earn more from their ads. We partner with advertising networks, Google primarily being one of our biggest partners. Then, we also cater to the needs of publishers and web masters who sign up and qualify under our revenue sharing program. True to our name, we specialize in leveraging the power of cutting edge technologies to maximize revenues for our partners. Why do you use Flippa? Flippa has the greatest demand and supply of website properties on the net. The sheer volume is reason enough to use the platform, but the support has been impressive, the platform is very easy to use, the free escrow is great, and it is the most trusted marketplace. Although this is our first full website acquisition, we’ve been familiar with and have used Flippa for several years. You acquired MrPoll.com in late 2015, tell us about the site, what does it do? MisterPoll was created in 1998. The story goes that the original owner had a burning question, but realized there were no readily available places to post the question to the world. This spawned the idea of building a polling website that would allow people to upload questionnaires publicly and later download the results of the poll into a CSV format. There are an almost infinite number of questions that have been asked over the years, and each poll is classified into subdirectories of polls for higher visibility. Aside from this, there is a forum style message feature attached to each poll to encourage healthy discussions on each respective poll topic. The really good ones are highlighted as Editor’s Choice and linked to on the front page of the website. This is our first purchase. As such, the nature is more on the exploratory side. However, MisterPoll has truly evolved to become a diamond in the rough. At its peak under former ownership, it was generating a significant amount of revenue with high traffic. The entertainment and fascination for polls online has historically had a very loyal following. Interest in websites providing easy to use polling tools is high. Mrpoll.com is an old domain/site that still had a lot of potential but was forgotten buy its owners. This is where we saw the most opportunity. The audience was still quite loyal, the site was due for a redesign, the SEO potential was strong, and we knew with the right management and TLC this could be a big earner. What are your plans for MrPoll.com moving forward? Right now, the short term plans include modernizing the website and improving the user experience. Since the site was created in 1998, it’s not yet mobile responsive for smartphones. Also, people or users have accumulated feedback over the years and we have compiled them into a single wish list so that we can tailor Misterpoll’s interface to what the active users truly want out of the site. The goal is to restore or surpass its former glory as a top polling website, add value, increase traffic, and revive the existing community of users. Any advice or monetization tips for other web entrepreneurs looking buy websites on Flippa? Maximize the features of Flippa and make informed decisions through due diligence. Don’t hold back with the questions, and don’t limit yourself to the information provided by the seller. Read through what other bidders have asked and read the respective responses from the seller to try to really drill through the details. Get to know the technical specifications, the traffic, the revenue history, the mode of managing the website, the existing challenges, etc. Implement a header bidding container to dramatically spike ad revenues. Most importantly, you need to believe in what you are going to buy. If you are not genuinely interested in the overhaul that each website will require. It takes a lot of effort to do so and you need the inherent motivation to stick with your purchase. Do you have a high-quality aged website that you might like to sell? Apply for a free website valuation from one of our industry leading brokers now.